Fellow parents: Video games have ratings, just like movies. It's up to you to decide what's appropriate for your kid, but the Entertainment Software Rating Board has a few suggestions. For example, Grand Theft Auto 5 comes out Tuesday. It's rated M for Mature. That means the content in the game is on par with what you'd see in a rated R movie. 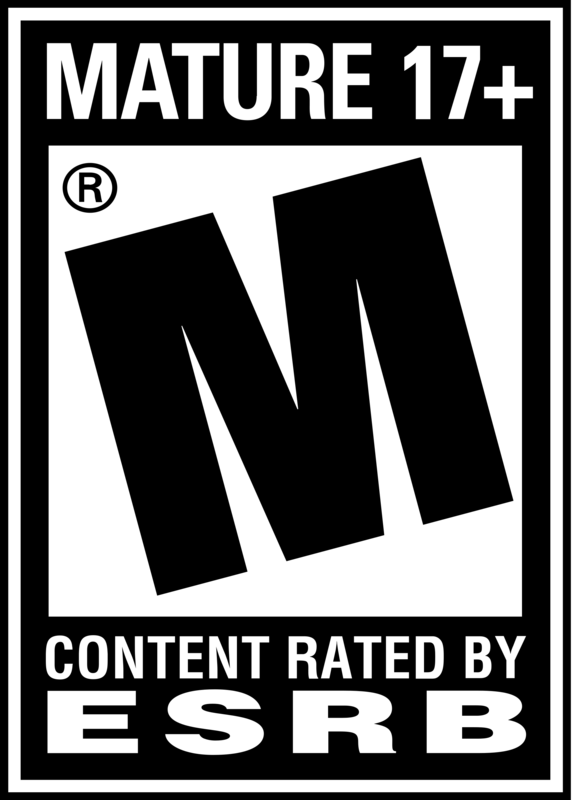 If you wouldn't let your 11 year-old watch Pulp Fiction or Scarface you probably shouldn't let them play that game, same goes for any game with an M rating (the rating looks like this). Grand Theft Auto 5 will include scenes of violence, drug use, crime and more (again, much like an R rated crime movie). The video game industry is currently the whipping boy of the news media, just as violent films, death metal, and comic books were before it. So you might have heard that playing violent video games leads to violent behavior. Truth is, the jury's still out on that one. There aren't any firm, conclusive studies that say little Jason will become a criminal if he plays Grand Theft Auto too young. It probably doesn't help his mind to play that game, but that alone might not wreck his brain. So use your best judgement. If you think your kids can handle that stuff, go for it (this kid's parents thought so), but you'll have to buy the game for them--most retailers restrict the sale of M rated games to those under 17, you know, kinda like how most theaters won't let kids under 17 into an R rated movie. If you've followed me on any form of social media for longer than a week you can probably tell I'm super into video games. I love playing them, but I also love following the industry, watching it grow, keeping up with the issues it's currently grappling with and more. So if you have a question about a particular game and would like help deciding if it's right for your kids, please ask. I wouldn't call myself an expert, but I've been paid to play and think critically about games before, so maybe that's worth something to you. This concludes today's public service announcement. Hooray for responsible parenting! When I was around 11 or 12 my brothers and I rented Resident Evil from Blockbuster. This was right when the ESRB started rating games, so few retailers enforced them. My mom walked in on a gruesome scene of a zombie devouring a person and immediately made us turn the game off and take it back to Blockbuster. We complained, because we were kids and moms just aren't fair. But now, I'm a parent, and see that was the right thing to do--not so much the action of making us return it, but being involved in what our brains were consuming. Sure, I just went to my friend's house and played it there later that night, but I had nightmares for several days. More importantly, I knew where my parents stood when it came to that sort of game. These days there are a zillion more games to choose from--meaning I'll have an easier time directing my son away from Resident Evil 9 and toward something more age appropriate. Let me know if you ever need a suggestion.